Credit card fraud can happen to anyone. Although falling victim is not the end of the world, it is inconvenient and time-consuming. The best tactic is to prevent credit card theft before it happens. Identity theft protection services offer numerous features to help monitor your accounts and ensure your safety. As our lives continue to digitalize, identity theft is at an all-time high. Credit card details are among the most coveted targets as they guarantee instant access to money. With a new victim every two seconds, this kind of crime is happening worldwide. Mexico is the current fraud capital, as 56% of the world’s credit card fraud occurring there. However, the U.S. fairs little better, with their 47% share earning them third place. This statistic comes as little surprise considering instances such as the notorious Target breach. In 2013, 70 million customers were affected after cybercriminals hacked the popular US retailer. 40 million of these cases included credit card details, confirming the urgent need to address this type of fraud. How Did I Become a Victim of Credit Card Fraud? Credit card thieves have no prejudice; they prey on all kinds of people. Even the well-prepared are a target. 46% of Americans have been victims of this crime over the past five years. In Florida – the worst affected state – 300,000 fraud complaints were made in just one year. These are the most common ways for your details to be intercepted. Private letters often include sensitive data. Credit card frauds add devices to ATMs and payment machines to clone your card details. Open networks leave your data unencrypted; cybercriminals use rogue hotspots specifically for credit card scams. With enough personal details, thieves can replicate your identity and fraudulently gain direct bank access. Fake websites and emails trick users into disclosing personal data. Online identity theft is currently the worst culprit, accounting for 45 percent of credit card fraud in 2014. Counterfeit card fraud and physically lost/stolen cards also played a significant role, at 37 percent and 14 percent respectively. Banks flag obvious expenditure discrepancies, so chances are they’ll contact you. If not, alert them immediately, cancel the card and discuss financial compensation. Customers are not liable for the money lost. Most failed compensation claims are due to a lack of fraud evidence. Reporting the theft to all the relevant bodies, including the Police and credit bureaus, can subvert this. Set up two-factor authentication on your accounts; ensure your passwords are complex and changed regularly; use a VPN on public Wi-Fi and leave your card at home whenever possible. Invest in a good identity theft protection program to monitor your accounts and avoid further disaster. 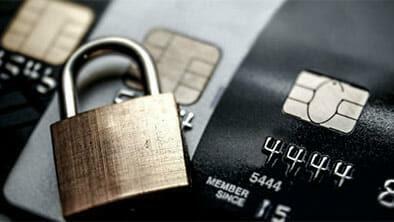 Identity theft protection services have been developed to overcome the lingering threat of credit card fraud. The software tracks your bank accounts, social security number, credit reports and public records, to spot any potential threats. Many services also offer a plethora of other features. Integrated with IBM Watson, Identity Guard is an industry veteran. With 20 years service, they have already protected over 47 million customers. Web monitoring for timely threat alerts. Identity Guard offers $1M coverage for all customers. Their standard service costs $19.99 per month, with a $24.99 platinum option available. You can try these plans for free with the 30-day money-back guarantee! Backed by the Experian bureau, this option ensures an excellent credit rating. As well as account monitoring and victim assistance, it supports your financial future. Experian also offers up to $1M in theft compensation and a premium monthly plan at $19.99 – plus the added benefit of a budget option for $9.99. If you aren’t ready to commit financially, then you can try either service free for 30 days. Read our full Experian review now. Identity force prioritizes protection for the whole family, which is ideal if you have kids who are starting to be financially independent. Identity Force also comes with the $1M guarantee, but it’s slightly pricier. Their UltraSecure plan is $17.95 a month and offers a 14-day free trial. For their full credit services, it’s $23.95 per month or $239.50 for a year. Read our full IdentityForce review now. Cleaning up credit card fraud isn’t easy. The best thing to do is set up precautions so it can’t happen, like using an identity theft protection service.